The use of noni in Southeast Asia as food and for medicinal purposes goes back as far as recorded history, and it's safe to assume, even earlier. As Indian medicine men experimented with different foods and how they impacted health and wellness, they developed a medical system known as Ayurveda which is still used in holistic medicine today. In Ayurveda, which is Sanskrit for "the science of life," noni was considered a sacred plant, mentioned by the name "Ashyuka," which means "longevity." Ayurvedan practitioners found noni to be a balancing agent that stabilized the body when an illness caused the body to get out of balance. When explorers left Southeast Asia for other lands, they took noni with them because they considered it necessary for good health. Centuries later, noni was found on the Polynesian islands, Hawaii, and Australia, likely as a result of these explorers and their activities on the nations and continents surrounding Southeast Asia. When European explorers began exploring the area in the 1700s, they mentioned the use of noni by the native peoples in some of their journals. Later, during World War II (1941-45), soldiers based on Polynesian islands received instructions in their field manuals that noni was a safe and healthy food to eat. Records of the medicinal use of native plants in these areas have shown that noni was used extensively for overall health and to treat various medical conditions. The fruit, seeds, flowers, leaves, roots and bark of noni have all been used in various ways. In modern use, noni has been touted as a treatment and even a cure for almost any medical problem including heart disease, joint pain, infections, respiratory problems, brain function, skin problems, and even cancer treatment and to help treat addictions. Much of these treatments have not been scientifically proven, and research is now being conducted to find out what conditions noni may be effective against. Today, people use noni fruit, juice, and powder to stay healthy and well. Lab and animal studies have shown that noni might be effective against joint pain and inflammation, to boost the immune system, and to shrink tumors. Noni is currently being studied for the treatment and prevention of prostate and breast cancers. 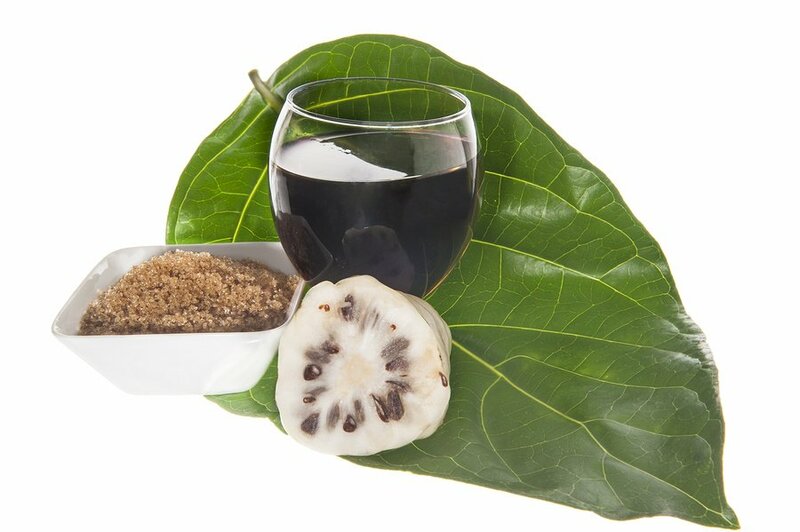 Today, noni is marketed and sold as a supplement in capsule, powder and juice forms. Health conscious people use it for energy, to improve immune function, and for joint pain and arthritis. Because of its anti-aging benefits, noni is also used in soaps and shampoos to combat wrinkles, dark spots and even hair loss. Dr. Oz dedicated a segment of his show to the benefits of noni, including the way it impacts skin to combat aging and its potential to fight cancer. Noni contains many beneficial compounds that are just now being studied. Its strong antioxidant properties are thought to contribute to its effectiveness on hair and skin. Biconi's skin and hair care products contain noni grown in Southeast Asia as well as other plant extracts. These natural products are free of harmful chemicals like parabens and sulfates so that your skin, scalp and hair can experience healing and optimal health.